Hamilton, Ontario is home to more than 100 waterfalls and cascades, most of which are on or near the Bruce Trail as it winds through the Niagara Escarpment. 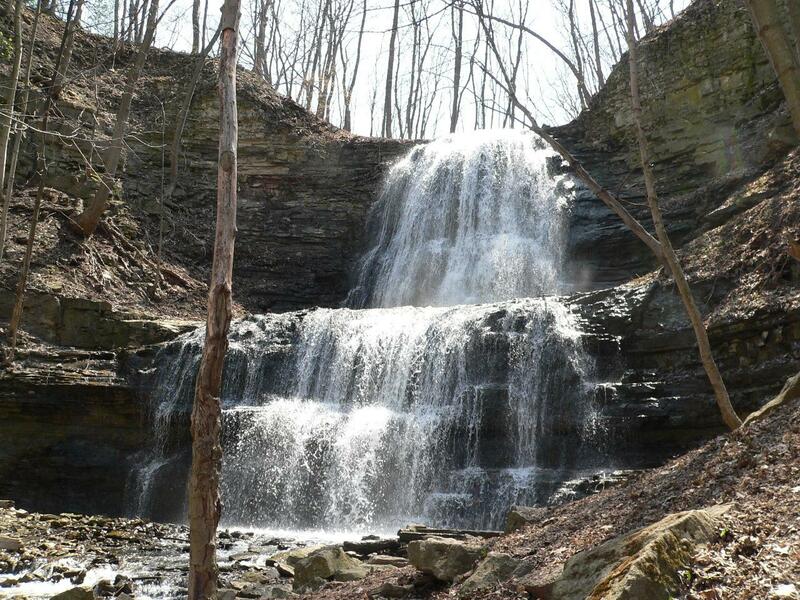 Hamilton known as "The City of Waterfalls" brands itself as "The Waterfall Capital of The World." Ontario's internationally recognized Niagara Escarpment provides perfect geological conditions for waterfalls to occur, from Tobermory to Niagara Falls. The most scenic waterfall in Hamilton is Webster's Falls. With its 30 metres (98 ft) crest, it is the largest within the city. Tew's Falls is a 41 metre ribbon waterfall, 11 metres shorter than Niagara Falls, and is the tallest waterfall found in Hamilton. Both Webster's and Tew's are located at the Spencer Gorge / Webster's Falls Conservation Area. NaRoma Pizza Bar, 215 Locke St., S.
Relay Coffee Roasters, 590 Concession St. The Burnt Tongue, 10 Cannon St., E.
Radius, 151 James St., S.
The Aberdeen Tavern, 432 Aberdeen Ave.